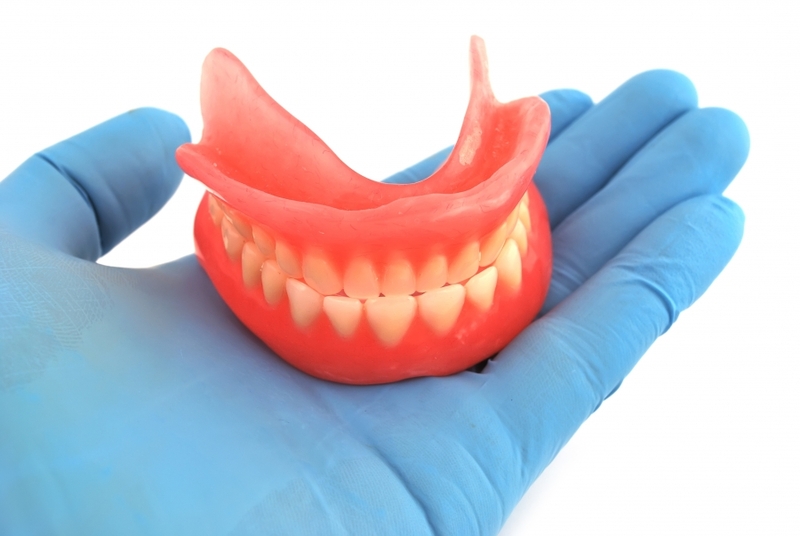 In our previous blog post, the Gaithersburg dentists at Clopper’s Mill Dental Care helped you learn the signs that you might need dentures. We’ll continue on that topic here, with even more reasons that dentures might be a good idea for your oral and overall health. Those with sensitive teeth or signs of periodontal disease often have trouble chewing food. This leads them to chew less and swallow large bits of food—and that can do a number on the digestive system. Chewing is a critical part of the digestion process—it crushes food into smaller bits that are easier to swallow, but it also allows saliva to break down starches into nutrients that are digestible by the body. If you’re not chewing for long enough, you’re not allowing for this chemical reaction to take place, and you’re making it more difficult to for your digestive system to handle the food that’s coming down the pipe. This can lead to moderate or even severe digestive problems that can disrupt your daily life. Dentures can take the pain and sensitivity out of eating, allowing you to chew thoroughly and have proper digestion without too many issues. You’re self-conscious about your smile. Your smile is a crucial part of your personality and your confidence—if you’re afraid to show it off, it could leaving you feeling self-conscious and discontent. There are many reasons why people would avoid smiling or showing off their teeth, whether it’s because of tooth decay, crooked teeth, or missing teeth—all of which can be fixed with dentures! Having a smile you’re proud of shouldn’t be an option or a luxury—it’s necessary for a happy and healthy life. Dentures are easy to clean, always look great, and they’ll allow you to smile freely and regain your confidence in all aspects of your life. Almost everyone who gets dentures reports they smile much more than before, and have more confidence to eat, laugh, and speak freely! You’re not sold on dental implants. Dental implants are another solid choice for teeth replacement—they’re a permanent, sturdy solution that can help you avoid jaw atrophy and have optimal chewing and speaking abilities. However, dental implants have their drawbacks. Getting dental implants take a lot of time—up to six months in some cases—and requires several surgical procedures and trips to the dentist’s office. Plus, dental implants do not come cheap—replacing a single tooth can cost anywhere from $1,000 to $3,000! In comparison, dentures are very affordable, do not require surgery of any kind, and provide you with a look that’s just as realistic as dental implants. Dentures do require a bit more maintenance than implants, but with the price points being so different, that extra hard work could be well worth when you realize how much money you can save. Talk to your Gaithersburg dentist! If you think you might need dentures, dental implants, or bridges, the team at Clopper’s Mill Dental Care can help. Tooth loss should not affect your confidence and prevent you from living your best life, which is why our experienced team provides you with a number of tooth replacement options that can meet your needs and your price range. Don’t wait—schedule an appointment with Clopper’s Mill Dental care today!